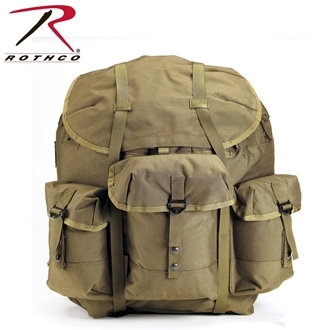 Rothco's GI Type Medium ALICE Pack without frame is made from polyester. This medium ALICE pack features three large vented outside pockets, waterproof lining, and accessory loops. The pack comes with shoulder straps to be used without a frame, the frame is sold separately.